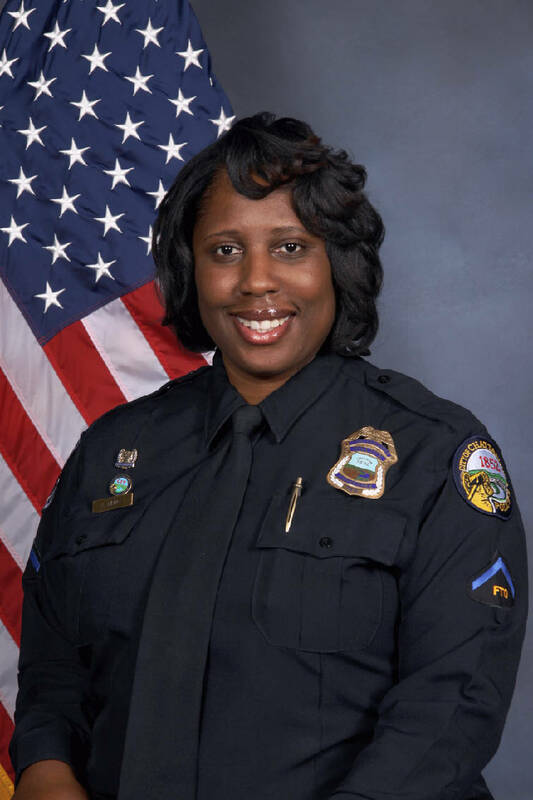 Former Chattanooga police officer Cameka Bruce was fired earlier this year for not signing a receipt for delivery of a disciplinary action notification letter, internal affairs documents reveal. Bruce was initially investigated in late 2017 over allegations of missing evidence and improper use of overtime. As a result of that investigation, she was offered a last-chance agreement in October 2018. The agreement, which puts an officer on notice that future misconduct could result in immediate demotion or termination, was offered in lieu of a demotion, according to a disciplinary letter. By entering the agreement, she would also forfeit her right to appeal the disciplinary decision. But, in a letter to Chattanooga Police Department Chief David Roddy, Bruce's attorneys argued that their client did not want to waive her right to appeal. As a result, a new disciplinary letter was issued on Oct. 29, notifying her that the last-chance agreement was withdrawn and she was to be demoted. "Because you are no longer willing to enter into the Agreement, I am demoting you from your position as sergeant," Roddy wrote in the letter. "This demotion is effective immediately." Assistant Chief Glenn Scruggs hand-delivered the letter on Oct. 29 notifying Bruce of her demotion, according to a letter he wrote to investigators on the same day. "I advised her that she was under a direct order to sign the document and that by not signing, it would be viewed as a direct refusal," he wrote in the letter. " I again advised her that she would have ample opportunity to dispute the validity of the disciplinary terms but that she needed to sign the document. I explained to her that signing the document did not indicate that she was in full agreement of the information that the letter spelled out, it was simply a receipt of her receiving the document, akin to when a citizen signs for a traffic citation." But Bruce told investigators that Scruggs did not explain that to her. "I asked him, I said, 'I'm not understanding this. I'm not understanding what's going on.' And he said, 'I can't answer it,'" she said. At that point, investigators noted the letter itself did not say that a signature meant agreement and questioned whether she read the letter in its entirety. "I don't remember it saying it was just a receipt signing for the letter," Bruce said. The letter does not use the word "receipt," but it does state, "I, Cameka Bruce, have received a letter from Chief Roddy dated October 29, 2018, in which I have been advised that I am being demoted from sergeant effective immediately," just above the signature line. In any case, Bruce told investigators she was not comfortable signing the letter because she did not understand why she was being demoted and she wanted to talk to her attorney and employee representative. "I did not say I was not going to sign," Bruce said. "I even told [Scruggs] once I had heard back, I would give him a call if he wanted to meet." However, investigators noted that Bruce did not call Scruggs or Roddy even after hearing from her legal counsel. Bruce said that was because they were still working to find out why she was being demoted. Regardless, the investigation concluded on Dec. 13, and by Jan. 31 she was fired after Roddy sustained allegations of insubordination — for not signing the letter — and untruthfulness — for allegedly making "patently false statements in her recounting of the events of the day in question." Contact staff writer Rosana Hughes at rhughes@timesfreepress.com or 423-75 7-6327 with tips or story ideas. Follow her on Twitter @HughesRosana.